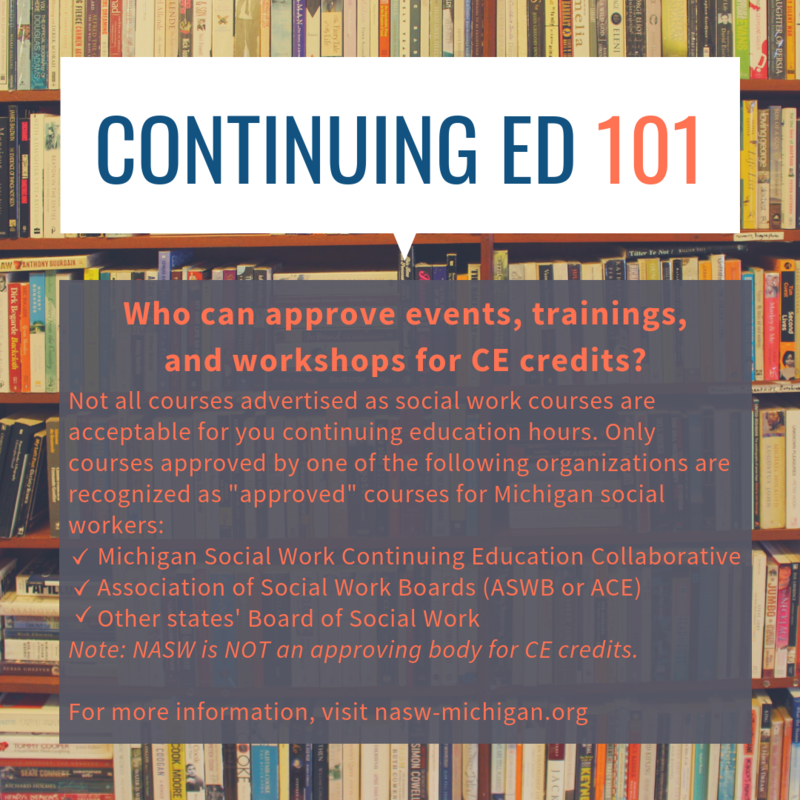 Is It Time To Renew Your Social Work License? Each year on April 30th, thousands of Michigan social workers renew their professional licenses. Here’s a few reminders if you are reaching your renewal date. 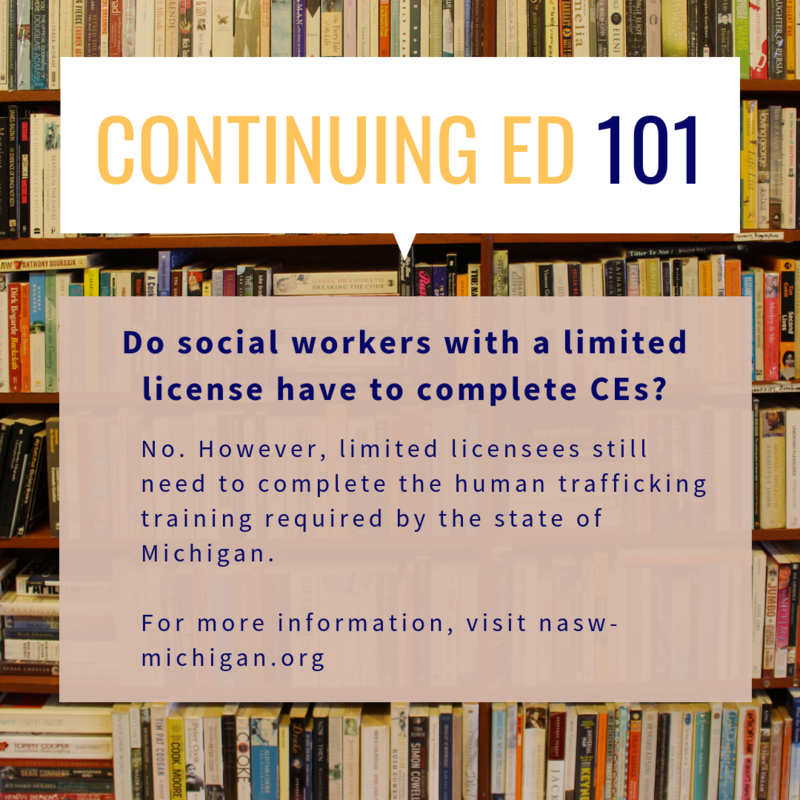 Fully licensed social workers must have completed the required 45 hours of continuing education (5 ethics and 2 pain management) before renewing their license. NASW’s recently launched CE Tracker can assist practitioners with compiling all of your required documents in the case one is audited. For more information or to get signed up visit www.socialworkers.org. All limited licensed social workers renewing in 2019 will need to have complete the human trafficking training requirement. You may renew your license online at www.michigan.gov/elicense. 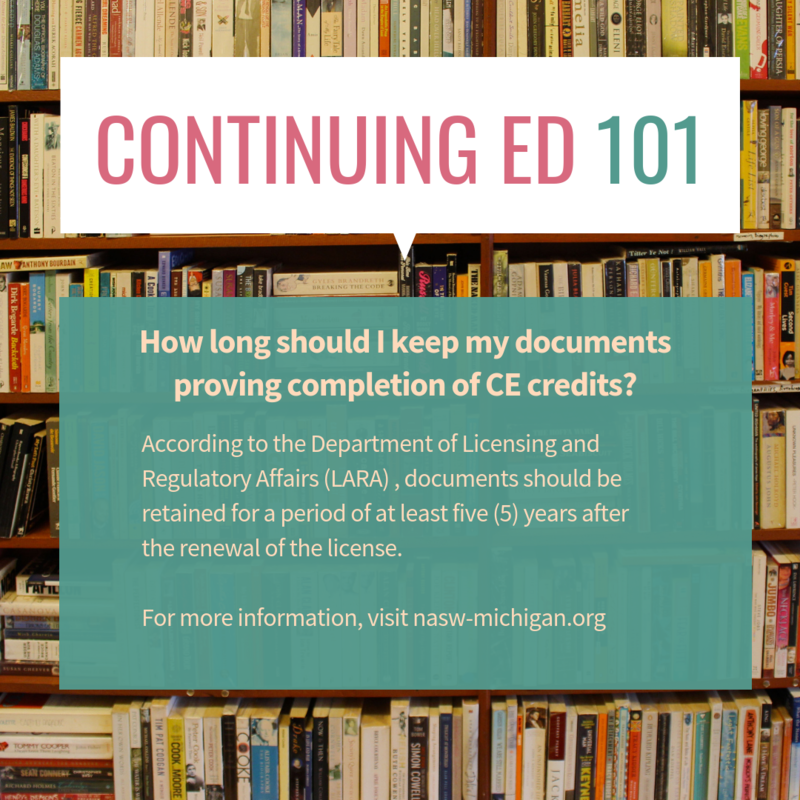 To review other requirements for renewing your license, please visit the Bureau of Professional Licensing website at www.michigan.gov/bpl. Should you have further questions please contact our office at 517-241-0199 or email to BPLHELP@michigan.gov.